In this week’s parasha, Nitzavim, we read that “The hidden things are for Hashem, our God, and the revealed things are for us and our children forever, to fulfil the words of this Law.” (Deuteronomy 29:28) The verse is a significant one for a number of reasons, one of which is that it is used as Scriptural proof for the Jewish mystical tradition, commonly referred to as “Kabbalah”, those esoteric secrets—“hidden things”—of the Torah. The Torah cautions that these secrets are best to be kept for God, while the revealed parts of the Law are for us and our children. And yet, Jewish mysticism has been a very popular area of study for millennia. We know of the existence of multiple “mystery schools” in the Second Temple era. Some of the earliest mystical texts were composed in this time period, and have been found among the Dead Sea Scrolls. In the centuries following the destruction of the Second Temple, a number of new mystical texts appeared, known as the Heikhalot, Heavenly “Palaces”. The main protagonists of the Heikhalot are Rabbi Akiva and his contemporary, Rabbi Ishmael. We know from the Talmud that these two were great mystics. The Talmud (Chagigah 14b) famously records how Rabbi Akiva led three other rabbis to the Heavenly realms of Pardes. This is traditionally taken to mean that they plunged into the depths of Jewish esotericism, where “Pardes” is an acronym for pshat, remez, drash, sod, the four main levels of Torah study: the simple, surface meaning; the sub-textual allusions; the allegorical, metaphorical, and extra-Scriptural narratives; and the mystical secrets of Kabbalah. The three rabbis that went along with Rabbi Akiva didn’t fare so well: Ben Azzai died, Ben Zoma apparently lost his mind, and Elisha ben Avuya became a heretic. Only Rabbi Akiva “exited in peace”. There were many other mystics in their day. The Talmud (Sukkah 28a) states that although Rabbi Yochanan ben Zakkai (whose students were the teachers of Rabbi Akiva) was the least knowledgeable of Hillel’s eighty disciples, even he was an expert in Ma’aseh Merkavah, “the Work of the Chariot”. Ma’aseh Merkavah refers to the opening account of the Book of Ezekiel, where the prophet describes God’s “Divine Chariot”. 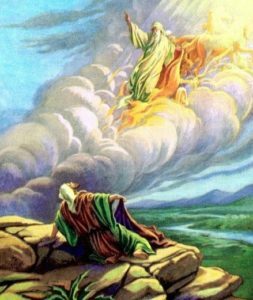 Similar holy visions were beheld by the other prophets, including Isaiah and Daniel, while Elijah was taken up to Heaven in such a fiery chariot (II Kings 2:11). Thus, Ma’aseh Merkavah is believed to be concerned with attaining prophecy, or with spiritual ascent to the Heavens. This is precisely how one might elevate to Pardes. Such great power exists within the study of Maaseh Merkavah and Maaseh Beresheet that the Sages caution these subjects must not be taught publicly, and not to all those who wish to learn them: “Maaseh Beresheet must not be expounded upon before two, and Maaseh Merkavah even before one, unless he is a sage and understands of his own knowledge.” (Chagigah 2:1) Even to the understanding scholar, the Sages permit only the “chapter headings” to be revealed. The master points the student in the right direction, and nothing more. In this way, only the truly deserving wise one will come to understand the mysteries. 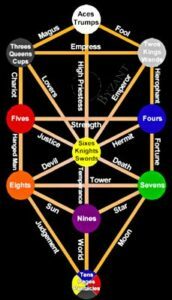 Perhaps this is why the study was eventually called Kabbalah, from the root meaning “to receive”, for one could only receive it through divine inspiration from Above, and after having received the chapter headings from a master. Interestingly, the term Kabbalah in the Talmud refers not to mysticism but to the Tanakh, specifically to the books of Nevi’im and Ketuvim which follow the Five Books of Moses. This actually makes a lot of sense, since most of Kabbalah is built upon verses and passages in the Prophets and Writings. One who studies Kabbalistic texts will quickly recognize how most of the passages open with Scriptural verses, with concepts supported by Scriptural verses, especially from the Books of Psalms, Proverbs, Job, Shir haShirim, and of course, Ezekiel and Isaiah. Other texts of Tanakh are frequently cited, too. In fact, it is said that the Vilna Gaon (Rabbi Eliyahu Kramer, 1720-1797), among the greatest of Kabbalists, studied nothing but Tanakh after a certain age, since he could derive everything directly from Scripture. This may be one reason, among others, why study of Nevi’im and Ketuvim is so rare in the Orthodox yeshiva world today. Since Kabbalah is often seen as taboo, especially for young minds, it may be best to avoid study of Scriptural passages that may bring up uncomfortable or mystical questions. Indeed, it is the story of the Four Who Entered Pardes that is most commonly used as proof that the young, the uninitiated, or those that have not mastered every facet of Torah must not delve into Kabbalah. The Rambam (Rabbi Moshe ben Maimon, 1135-1204) codifies this as law. The Rambam is an interesting case, for he was no Kabbalist by any means. A strictly rationalist thinker, he rejected any notion of evil spirits and demons, thought superstitions to be silly at best, and made sure to expunge all sorts of mysticism-based rituals from his code of law. For the Rambam, Maaseh Merkavah simply refers to the various spiritual entities that God created, mainly the ten types of angels (Yesodei HaTorah, ch. 2). What the prophets saw were just “visions and parables”, not actual concrete things. Maaseh Beresheet, meanwhile, is essentially science and physics—the study of the elements and their properties, the various “spheres” of astronomy, the nature of the luminaries, stars and planets—these are the things he calls “Maaseh Beresheet” (Yesodei HaTorah, ch. 3-4). The Rambam believes this is what is meant by “Pardes” (4:3). For him, Kabbalah is not an exercise in amulets or magic, exorcism or demonology, astrology or fortune-telling—all of which he expressly rejects as irrational, unreal, and absurd. 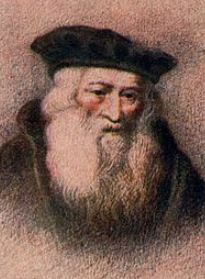 Ironically, it was the Rambam’s own son, Rabbeinu Avraham (1186-1237), who became a great mystic and played a huge role in the development of modern Kabbalah. 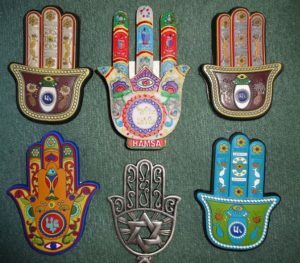 The fusion of Jewish and Sufi mysticism continued strongly in Egypt for several generations. Rabbi Gavin Michal beautifully traces how these traditions made their way to Tzfat: Rabbeinu Avraham’s great-great-grandson, Rabbeinu David, the last official nagid of the illustrious Jewish community in Egypt, packed his bags and resettled in Aleppo, Syria in the early 1400s. He brought with him his massive Sufi-inspired Jewish mystical library. This library was a key source of literature for the early Tzfat Kabbalists, who lived a short trip away from Aleppo. Amazingly, historical sources suggest that one of these early Kabbalists was a Sufi convert to Judaism. At the same time that this was happening in the Middle East, a parallel Jewish mystical movement was rapidly developing on the other side of the Mediterranean, in Spain. Their Kabbalah, too, was not immune to the beliefs and practices of the neighbouring Christians. In the 11th and 12th centuries, mysticism was slowly spreading in the Sephardic Jewish communities of Spain. It wasn’t until the late 13th century that Kabbalah received an immense boost with the publication of Sefer HaZohar, aka. “The Midrash of Rabbi Shimon bar Yochai”. The publication was spearheaded by Rabbi Moshe ben Shem Tov de Leon (1240-1305), a great Kabbalist in his own right. He claimed that this book was the unadulterated teachings of the Talmudic sage Shimon bar Yochai, or Rashbi, a disciple of Rabbi Akiva. While the Zohar was undoubtedly full of profound wisdom and authentic mysticism, it immediately aroused a great deal of suspicion. After all, no one had ever seen, or even heard of, such a text before. One scholar who took up the mission of discovering the Zohar’s real roots was Rabbi Itzchak d’min Acco (“Isaac of Acre”, c. 13th-14th century). Rabbi Itzchak was possibly a student of the Ramban (Rabbi Moshe ben Nachman, 1194-1270), who had made aliyah after his famous Disputation and settled in Acre, where Rabbi Itzchak was apparently born. Rabbi Itzchak studied among those pre-Tzfat era Kabbalists in Israel. The Crusades made life difficult, and Rabbi Itzchak fled to Spain in 1305. There, he met Rabbi Moshe de Leon, and questioned him about the Zohar, pointing out that the Kabbalists of the Holy Land knew nothing of such a work. Rabbi Moshe swore that he possessed an original manuscript from Rabbi Shimon bar Yochai, back in his hometown of Avila. He promised to fetch the text and show it to Rabbi Itzchak, but suddenly died. Perhaps this untimely death is itself proof enough that Rabbi Moshe de Leon swore falsely! For Rabbi Itzchak, it was not enough, and he decided to continue his search in Avila. There, he met a rabbi who knew Moshe de Leon’s family, and the rabbi told him that de Leon’s wife admitted he had composed the Zohar by himself, attributing it to Rashbi so that it would be accepted as authentic (and sell more copies). Many later Kabbalists reject this narrative, and believe it is a legend meant to discredit the Zohar. The story appeared in the first edition of Sefer Yuchasin (by Rabbi Avraham Zacuto, 1452-1515), and was censored out of all subsequent editions for over 300 years. Over those centuries, the Zohar became the primary Kabbalistic text, so much so that it essentially became synonymous with Kabbalah. More ancient and once prominent texts like Sefer Yetzirah and Sefer HaBahir fell far behind. The Zohar inspired a massive new wave of mysticism that made a permanent impact on Judaism. 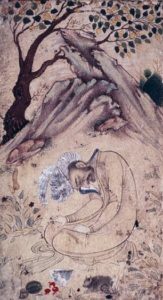 It was the Tzfat Kabbalists of the 16th and 17th centuries in particular that neatly analyzed, categorized, and made sense of the Zohar, producing a whole new worldview and publishing a vast array of novel mystical literature that took the Jewish world by storm. While halacha was once clearly separated from mysticism, the distinction started to get blurry. 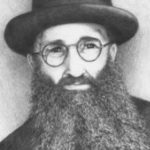 We sometimes forget that the Shulkhan Aruch, still the most famous of Jewish law codes, was composed by Rabbi Yosef Karo, a noted Tzfat Kabbalist. As such, he couldn’t possibly omit Kabbalah entirely from his laws, and mystical rituals and beliefs seep in on multiple occasions. The trend would continue, and reach even greater heights under the later Hasidim. By this point, the authorship of the Zohar was seldom disputed. Still, the belief that it was written by Rashbi himself is false. After all, the Zohar clearly states that Rashbi charged his disciple Rabbi Abba with composing his teachings (see Zohar III, 287b). The Italian Kabbalist Rabbi Mordechai Galante (d. 1560) held that the Zohar was compiled sometime in the Geonic period (c. 589-1038 CE) from these ancient manuscripts of Rabbi Abba. The fore-mentioned Sefer Yuchasin holds that the Zohar may have originated with Rashbi, but was reworked and expanded by future generations of Kabbalists. No one knows exactly where it came from. Some said it was the Ramban who discovered the Zohar when he arrived in Israel, then shipped it back to Spain (to save it from the Crusader wars or to reveal it to the Sephardi Kabbalists). The ship capsized or went off course, and the text ended up in the hands of Moshe de Leon! Others still believed that the Zohar was discovered by an Arab king, or by Spanish conquistadors, and sent over to the Sephardi Kabbalists for translation. Gershom Scholem notes a number of issues within the Zohar that make it impossible to have been composed by Rashbi, Rabbi Abba, or anyone else from that time period. In fact, it appears that the person who put together the Zohar was not even a very good Talmudist. For example, the Talmud (Shabbat 33b) says that Pinchas ben Yair was Rashbi’s son-in-law, whereas the Zohar inaccurately says he was his father-in-law. Similarly, the Zohar is pretty confused about its Talmudic history, and in listing Rashbi’s ten main disciples, mixes together Amoraim and Tannaim from different centuries. Scholem also points out that the Zohar improperly uses the Aramaic language, while clearly incorporating many words with Spanish origin (such as esnoga, “synagogue” or gardin, “guardian”). These issues were already noted by earlier Jewish scholars. 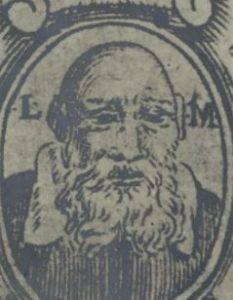 Rabbi Eliyahu del Medigo (c. 1458-1493), another great Italian sage, was part of a Kabbalistic circle before growing distant from the mystics. He noted how the Zohar has names of rabbis that lived long after Rashbi. 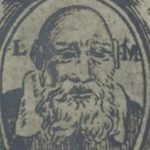 A fellow Italian, Rabbi Leon da Modena (1571-1648) wrote an entire treatise, Ari Nohem, debunking the Zohar. He concludes that it must be only a few centuries old, and its Chokhmat haKabbalah is neither Chokhmah (wisdom) nor is it authentic Kabbalah! 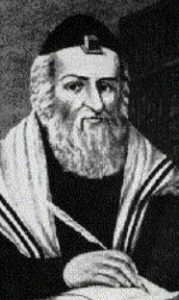 Rabbi Yakov Emden (1697-1776) was most vocal in his attack on the Zohar, and stated it was a complete forgery. The Yemenite sage Rabbi Yichya Kapach (1850-1931) believed the same thing. Others have staunchly defended the Zohar, of course. Those Spanish-looking words may be there because they come from earlier Latin words, which would have been familiar to Rashbi. The names of sages from different time periods may be mixed together in one passage, but we often find the same thing in the Talmud. Truly, one who studies the Zohar will find it hard to believe that it could have all been composed by one Kabbalist, whether Moshe de Leon or someone else. In fact, the Zohar isn’t a monolithic text at all, and is composed of various distinct parts (Raya Mehemna, Midrash haNe’elam, etc.) It probably was pieced together from earlier genuine manuscripts, and was probably edited by a circle of Sephardi Kabbalists in the 13th century, who firmly believed the teachings dated back to Rashbi in some way. One of their arguments is that the Zohar was influenced by Christian belief. Gersom Scholem illustrates multiple instances of this in his Kabbalah, especially when it comes to Christian demonology. Aside from that, some of the Zohar’s teachings may be seen as inadvertently supporting Christian theology. In fact, Christian scholars (like Picco della Mirandola, Johann Reuchlin, Christian Knorr von Rosenroth, and even Newton and Leibnitz) actually took up the study of the Zohar themselves, and believed that this text would result in Jews finally converting to Christianity willingly. History shows that while some Jews may have done so, many more Jews instead started to believe in Christian ideas like man becoming god (or god becoming man), and that a messiah can die without completing his task, to return in a future “second coming”. This was a huge issue in the heresy of Shabbatai Tzvi (1626-1676), and continues to be a significant problem with certain Hasidim today. One specific example of how Christianity may have influenced post-Zoharic Kabbalah is particularly relevant now, on the cusp of Rosh Hashanah. It is customary to recite Tefillat HaParnasah, a prayer for sustenance, at the end of each prayer service during the High Holidays. In many Sephardic machzorim, a supposed “name of God” is invoked—though not recited aloud—during this prayer (it is also found in the parnasah insert during the Amidah of many Sephardic weekday siddurim). That “name” is Dikarnosa (דיקרנוסא), which apparently comes from Malachi 3:10, though it is difficult to see how other than the appearance of the word די in the verse. Others link it to a fusion of Malachi 3:10 and the word nasah in Psalms 4:7, נסה עלינו אור פניך ה׳. In reality, Dikarnosa means absolutely nothing in Hebrew or Aramaic. However, it has a clear Spanish (or Latin) root: dei (“god”) and karne (“meat” or “flesh”). Some believe karnosa is a combination of karne and sanguis, “blood”. Whatever the case, the meaning is pretty clear: either the name is invoking a “god of meat” or speaking of a “god of flesh and blood”. Dikarnosa may be the name of an old pagan Spanish deity of abundance (hence the association with parnasah) or, according to one Catholic priest, potentially rooted in an old appellation for Jesus who, according to Christianity, is God literally incarnated in “flesh and blood”. 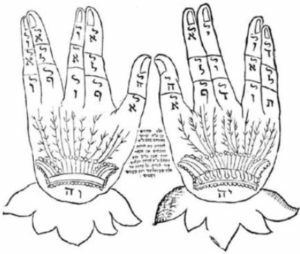 While Dikarnosa is not explicitly mentioned in the Zohar, it emerged in post-Zoharic Kabbalah circles, and was already firmly accepted in the times of the Arizal. His primary disciple, Rabbi Chaim Vital (1543-1620), wrote about it in Pri Etz Chaim (Sha’ar HaAmidah, ch. 19). It isn’t surprising then that the Dor De’a of Yemen claimed that modern Kabbalah is contaminated with paganism. Such are the possible dangers of studying the Zohar, and the Kabbalah that emerged from it. Some become imprisoned in demonic fears, others become extremists, or adopt all sorts of bizarre rituals, while others still are drawn to real heresy. This is one reason why the Noda b’Yehudah (Rabbi Yechezkel Landau, 1713-1793) went so far as to ban (unsuccessfully) the study of Zohar and Kabbalah. There are so many mystical texts out there that it isn’t clear which are genuine and which are not, which have been influenced by Christianity or Shabbateanism (or other heretical movements) and which have not. It is easy to be led astray. That brings us back to the story of the Four Who Entered Pardes. We learn from that story that maybe one in four who delve into Kabbalah will emerge unscathed. The remaining three are in danger of being lead to heresy, mental issues or extreme asceticism, or worse, an untimely death. Having said all that, we mustn’t forget that there absolutely is an authentic Jewish mysticism out there. As already stated, the Tanakh itself is full of genuine mysticism, as is the Talmud. The schools of Ma’aseh Merkavah and Ma’aseh Beresheet are real, and existed. There were mystical texts that predated the Zohar, as did the central concept of Ten Sefirot. There is no doubt that much of this authentic mysticism made its way into the Zohar and subsequent works, which is why it became so popular, spread so quickly, and was accepted by so many. Today, Kabbalah has become inseparable from Judaism, and has engrained itself into every aspect of our faith—without most Jews even being aware of it. Simple things like doing netilat yadayim in the morning to rid of an impure spirit (something completely omitted in the law code of the rational Rambam), staying up all night on Shavuot, or just commemorating Hoshana Rabba are all based on mystical teachings. Any discussion of reincarnation, cosmogony, eschatology, or even a classic Torah-versus-science debate is impossible without Kabbalah. There is little doubt that the mystical tradition has immensely enriched Judaism. But what do we make of those foreign influences? Some have argued that foreign influence is actually a good thing. After all, the Rambam himself had stated that we should “accept the truth from whomever speaks it”. There is an old mystical idea that the Torah, too, is in exile among the nations, and we must rediscover these true concepts from the nations, refine them, and restore them to their holy source. When looking from this perspective, we recognize that even the Talmud had adopted (or rediscovered) countless ideas from neighbouring Greeks, Romans, and Persians. And ancient Kabbalah, too, long before the Zohar, drew from other mystical traditions. Like the critics of today, Rabbi Leon da Modena recognized way back in the 16th century that Kabbalah was essentially Greek Neoplatonism in Jewish clothing. Meanwhile, in his Jews, God, and History, historian Max I. Dimont argues that from the very beginning, Kabbalah “fed on noncanonized prophecy, Zoroastrian resurrection mythology, Greek science, numerology, gnostic heresies.” He concludes that “This was the material Jewish saints and scholars worked on for centuries, distilling it, shaping it, blowing life into it.” There is still much work left to be done in distilling, shaping, and refining Kabbalah. There are some ideas that are best to be buried and forgotten, and some truly profound ideas that should be disseminated further. 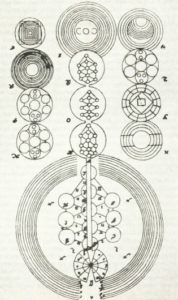 Dimont goes on to credit the Zohar and subsequent Kabbalistic texts with having “a large share in the sudden efflorescence of science…” and “laying the intellectual foundations for the seventeenth-century rebirth of philosophy and the establishment of scientific methodology…” A multitude of scholars share his conclusions. At the end of the day, Kabbalah has had a tremendous (mostly positive) impact not only on Judaism, but on the whole world. What can we conclude from all of this? At the very least, that Kabbalah should be studied carefully, with a grain of salt and an open mind. It is very important to temper the study of Zohar and other Kabbalistic texts with more rationalist sources like the Rambam. We shouldn’t confuse Kabbalah with halacha. We should keep in mind the many authoritative voices in Jewish history that cautioned against, if not outright rejected, the Zohar, and we should never forget those Four Who Entered Pardes. Those who choose to enter, beware. This entry was posted in Archaeology & History, Jewish Law & Life Cycle, Kabbalah & Mysticism, Mysteries & Origins and tagged Aramaic, Ari Nohem, Arizal, Ben Azzai, Ben Zoma, Chagigah (Tractate), Christianity, Creation, Dead Sea Scrolls, Dikarnosa, Divine Chariot, Elisha ben Avuya, Esotericism, Evil Eye, Four Who Entered Pardes, Gershom Scholem, Hamsa, Heikhalot, Islam, Jewish Mysticism, Kabbalah, Leon da Modena, Maase Beresheet, Maase Merkavah, Max I. Dimont, Mystery Schools, Nitzavim, Noda b'Yehudah, Pagan, Pardes, Pinchas ben Yair, Prophecy, Rabbeinu Avraham ben HaRambam, Rabbi Abba, Rabbi Akiva, Rabbi Eliyahu Delmedigo, Rabbi Isaac of Acre, Rabbi Ishmael, Rabbi Jacob Emden, Rabbi Mordechai Galante, Rabbi Moshe de Leon, Rabbi Shimon bar Yochai, Rabbi Yochanan ben Zakkai, Rabbi Yosef Karo, Rambam, Ramban, Rationalism, Rav Chanina, Rav Eliyahu Dessler, Rav Oshaia, Rav Ovadia Yosef, Sefer Yetzirah, Sefer Yuchasin, Spain, Sufi, Superstition, Tanakh, Tefillat HaParnasah, Tzfat, Vilna Gaon, Yemenite Jews, Yeshiva, Zohar on September 4, 2018 by Efraim Palvanov. We learn that the land of Israel was apportioned based on family size, with larger families logically receiving a larger share. Now, to determine which chunk of land a family would receive, the Israelites cast lots. The Talmud (Bava Batra 122a) describes how this was done: two urns were prepared, one containing the names of the Twelve Tribes, and the other containing the names of the various allotments of land. Elazar the High Priest would pick one name from each urn, thus designating a piece of land for a particular tribe. Casting lots was very common in Biblical times, and is mentioned frequently in the Tanakh. For example, the Torah commands casting lots to determine which goat is sent to Azazel on Yom Kippur (Leviticus 16:8). In the Book of Jonah (1:7), the sailors on Jonah’s ship cast lots to determine who was guilty of causing the storm. In the time of King David, the kohanim were thus divided into 24 groups (I Chronicles 24). Haman cast lots to determine the best day to attack the Jews, and this is why the holiday is called “Purim”, since purim was the Persian word for “lots” (Esther 3:7). If the Sages were not fond of casting random lots by chance, how would they feel about playing games of chance and gambling? In 1999 and 2000, the Muslim Waqf (Temple Mount authority) dug up 9000 tons of Temple Mount soil and unceremoniously dumped it in the Kidron Valley, creating one of the largest archaeological catastrophes in history. Thankfully, archaeologists did not give up on this precious soil, and began the “Temple Mount Sifting Project”. 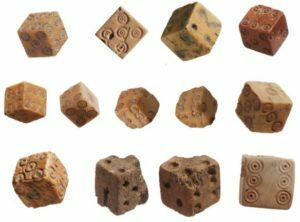 Among the many incredible finds are these Second Temple-era playing dice. In a list of people that are ineligible to serve as witnesses or as judges, the Mishnah includes a mesachek b’kubia, a person who plays with dice, and mafrichei yonim, “pigeon flyers”. According to the Talmud, the latter most likely refers to people who bet on pigeon races, which were apparently common in those days. We know from historical sources that gambling with various dice games was very popular in Greek and Roman times. The Talmud (Sanhedrin 24b) goes on to discuss what the problem with such people is. Rami bar Hama teaches that the issue with gambling is that it is essentially built on a lie: each player agrees to pay a certain sum of money if they lose, yet they hope (and fully intend) not to lose at all! That means the initial agreement made by the players is not even valid. The losing gambler is entirely dejected, and gives up their money reluctantly, often with a nagging feeling of being robbed or cheated out of their money. Rav Sheshet disagrees. After all, there may be some people who are not so sad to part with their money, or are simply addicted to the game itself. Whatever the case, Rav Sheshet holds that gambling is inappropriate because it is a terribly unproductive waste of time, and the gambler contributes nothing to “the welfare of the world”. This is why, Rav Sheshet says, the Mishnah above concludes by saying that only a full-time gambler is prohibited, but one who has an actual job and just plays for fun on the side is permitted. Nonetheless, Rav Yehudah holds that regardless of whether the gambler has an occupation or not, or whether he is a full-time player or not, a gambler is disqualified from being a kosher witness or judge. Rav Yehudah bases his statement on a related teaching of Rabbi Tarfon, and on this Rashi comments that a gambler is likened to a thief. The Midrash is even more vocal, saying that gamblers “calculate with their left hand, and press with their right, and rob and wrong one another” (Midrash Tehillim on Psalm 26:10). The Talmud (Sanhedrin 25b) goes on to state that the prohibitions above don’t only refer to a literal dice-player, but any kind of gambler, including one who plays with pebbles (or checkers), and even with nuts. The Sages state that such a person is only readmitted when they do a complete repentance, and refuse to play the game even just for fun without any money! Halachically-speaking, the Shulchan Arukh (Choshen Mishpat 370:2-3) first states that any kind of gambling is like theft and is forbidden, but then suggests that while it may not exactly be theft it is certainly a waste of time and not something anyone should engage in. While the Talmud does not explicitly forbid gambling, later rabbis recognized its addictive nature and sought to ban the practice entirely. In 1628, for example, the rabbis of Venice issued a decree (to last six years) excommunicating any Jew who gambled. Part of the motivation for this decree was the case of Leon da Modena (Rabbi Yehudah Aryeh of Modena, 1571-1648). In 1637, he published Historia de’riti hebraici, an overview of Judaism for the European world, meant to dispel myths about Judaism and quell anti-Semitism. Historians credit this with being the first Jewish text written for the non-Jewish world in over a millennium, since the time of Josephus. The book was incredibly popular, and played a key role in England’s readmitting Jews to the country in the 1650s (after having being expelled in 1290). More pertinent to the present discussion, Rabbi da Modena wrote Sur miRa (“Desist from Evil”), outlining the problems with gambling. He would know, since he was horribly addicted to gambling himself. He wrote of this problem in his own autobiography, Chayei Yehudah. And because such a high-profile sage was a gambler, his rabbinic colleagues in Venice issued that decree to ban any form of gambling. Rabbi da Modena’s game of choice was cards. At that point in time, playing cards had become wildly popular in Europe. First invented in China in the 9th century, playing cards slowly made their way across Asia, and reached Europe around 1365. They have remained popular ever since, both for gambling and non-gambling games. While it is clear from an halachic standpoint that card games involving money (like Poker or Blackjack) should not be played, is it permissible to play non-gambling card games (like Crazy Eights or Go Fish)? At first glance, it may not seem like there should be a problem with this. Yet, some rabbis have recently spoken out against all playing cards. Usually, this prohibition is connected not to gambling or wasting time, but rather to cards’ apparent origins in idolatry or the dark arts. Although it is true that some types of cards are used in divination and fortune-telling, it is important to examine the matter in depth and determine whether cards really are associated with forbidden practices. The exact origins of cards are unclear. We do know that they come from China, where paper and printing were invented. Card games are attested to in Chinese texts as early as 868 CE. In the 12th and 13th centuries, the Muslims brought cards across Asia. They were particularly popular in Egypt during the Mamluk Sultanate (1250-1517). 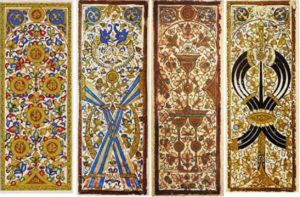 The Mamluks created the first modern-style deck of 52 cards with 4 suits. The suits were sticks, coins, swords, and cups. In the 15th century, Italians started to make cards of their own, with the suits being leaves, hearts, bells, and acorns. The French had three-leaf clovers for leaves, square tiles (or diamonds) for bells, and pikes for acorns. Although these suit symbols remained, the English names reflect the earlier suits of sticks (“clubs”) and swords (“spades”). The Muslim Mamluks did not draw any faces on their court cards (since depicting faces in art is forbidden in Islam). The Europeans did not have this issue, and adapted the Muslim court cards of malik (king), malik na’ib (deputy king), and thani na’ib (second deputy) to king, queen, and prince or knight (“jack”). In 16th century France, the four kings were depicted as particular historical figures: the King of Spades was King David, the King of Clubs was Alexander the Great, the King of Hearts was Charlemagne, and the King of Diamonds was Julius (or Augustus) Caesar. We see that playing cards have no origins in idolatry. The style of cards we know today were developed by staunchly monotheistic Muslims. They were further developed by mostly non-religious European renaissance printers, against the wishes of the Church which sought to ban cards on a number of occasions. Neither are playing cards known for being used in fortune-telling. However, a related type of card is used in divination today. 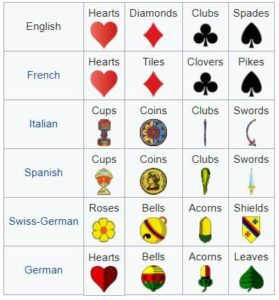 In 15th century Italy, a different type of playing card developed. These were called trionfi, later tarocchi, and finally “tarot cards”. They, too, have four suits, but with 56 cards. These were, and still are, used for a number of different games, just like regular playing cards are. Outside of Europe, tarot cards are not well-known, and are generally associated with fortune-tellers. In reality, the earliest mention of tarot cards being used in divination is only from 1750, and it was essentially unheard of until the late 19th century. Besides, most diviners actually use a different deck of 78 cards. Of course, such divination is entirely forbidden according to the Torah. So, it seems like some well-meaning rabbis have confused these tarot cards with regular playing cards. Ironically, many occultists actually claim that tarot cards come from Kabbalah! Having said all that, to forbid playing with cards (or even standard tarot cards) just because some people recently started using them in divination is like forbidding drinking coffee because some people recently started divining with coffee (a practice called “tassology” or “tasseography”). While playing cards copiously is certainly a waste of time, there is nothing wrong with the occasional—no gambling—game. Before Moses got ready to relate all these various commandments, he used the present opportunity, a few weeks before his death, to admonish the people, and to remind them of past sins, and how they had caused Hashem a lot of grief during these years. He reminded them how God had treated them by invoking His attribute of mercy and loving kindness time and again. He warned them not to become corrupt again by gambling… They should not rely on the fact that because they were human they were bound to err and sin from time to time and that God, knowing this, would overlook their trespasses. This entry was posted in Archaeology & History, Jewish Law & Life Cycle, Personal Development and tagged Alexander the Great, Ba'al HaTurim, Bava Batra, Blackjack, Caesar, Cards, Casting Lots, Chance, Charlemagne, China, Christianity, Cleromancy, Dice, Divination, Elazar, England, Excommunication, Fate, Fortune-Telling, France, Gambling, Goral, Idolatry, Islam, Italy, Kabbalah, King David, Leon da Modena, Mamluks, Matot-Massei, Midrash Tehillim, Partzufim, Poker, Purim, Rami bar Hama, Rav Sheshet, Rav Yehudah, Ruach HaKodesh, Sanhedrin (Tractate), Shulchan Arukh, Sitra Achra, Tarocchi, Tarot Cards, Tree of Life (Sefirot), Urim and Thummim, Venice on July 11, 2018 by Efraim Palvanov.